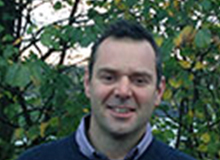 Mike Wood is a highly experienced arboricultural consultant who has extensive knowledge and experience in advising commercial and domestic clients on tree related matters. Mike’s specialist area is advising on matters relating to trees and the planning system and construction techniques for work close to trees. Mike has worked with Treework Environmental Practice since 2008 and manages his own growing pool of clients on behalf of Treework, with a proven track record of providing high quality services for developers and their agents in line with the current British Standard, BS5837:2012 trees in relation to design, demolition and construction recommendations. Mike also provides advice and Expert Witness services for suspected tree related damage to property and disputes on behalf of claimants or defendants.